First The Relative Pitch of the new year – February 28!!! 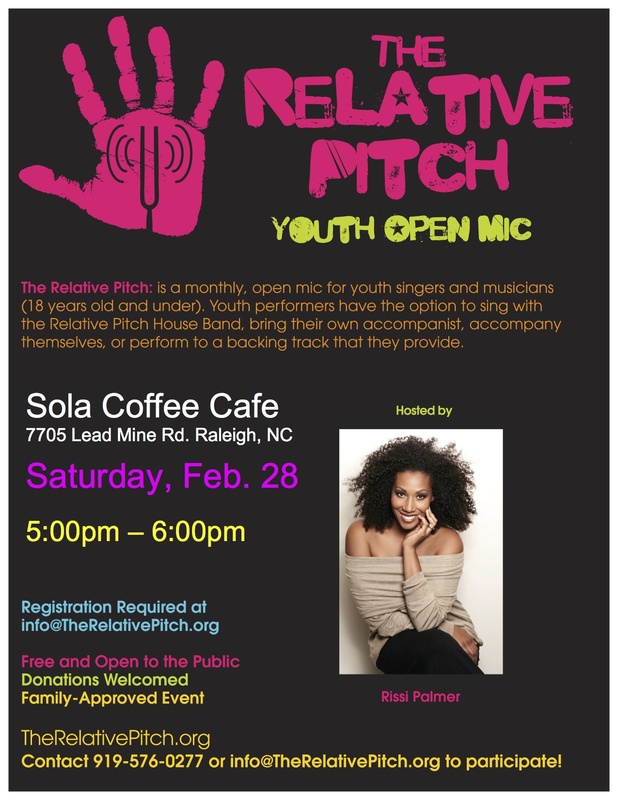 Highlights from the May 8 installment of The Relative Pitch!!! Our May 8 show saw the return of two The Relative Pitch veterans as well as a new talented singer-songwriter who blessed us with two original pieces. Both of our founder, Rissi Palmer & Kim Arrington, were present to share hosting duties. As always, Sola made us feel at ease with their delicious treats and friendly atmosphere. Thank you to all of our performers, their families, and the wonderful audience for making this show a success! We will be returning for our next show on August 23, 2014 and we hope you’ll join us! If you’ve never had the pleasure of seeing a live Relative Pitch, check out the video below!